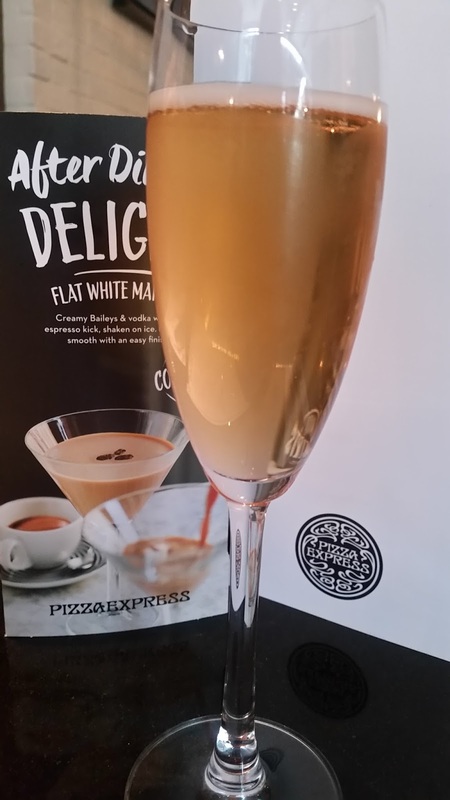 January Specials at Pizza Express. This Sunday we spent our weekly 'Family Time' enjoying some delicious food at our local Pizza Express restaurant in Sutton Coldfield in Birmingham. I love our local restaurant as everyone there is just so friendly and helpful, the staff there really are fantastic, nothing's too much trouble for them. If you have a problem, you only have to say and they will fix it. The main reason behind our visit this weekend was to try out their new January Specials Menu. There's several new additions plus some old favourites that have been added to it. We all choose different things from the Menu so that we could try a little of everything. 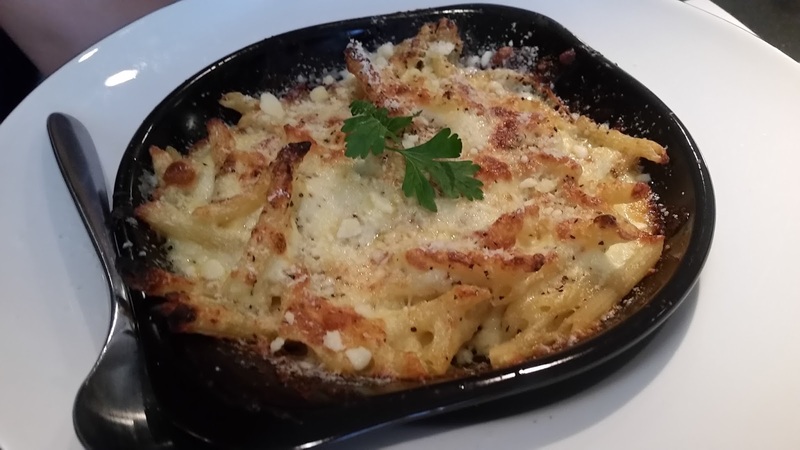 There is one new starter which is the Pennette Formaggi which is their take on the classic Mac & Cheese which I love. We didn't have this as a starter but only because my eldest daughter Chloe wanted it as her main, they do it as a main as well as a starter which is awesome. There are two new 'After Dinner Delights' (Cocktails) on offer, both looked delicious in their own right but as a Prosecco lover I had to go for the Sloe Prosecco which was very nice. I'm going to try an focus our review on the new things that we tried as not to bore you with all the things we have every time we go like the Dough Balls which are always good. 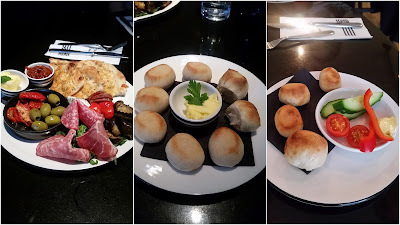 Our starters included the Classic Italian Antipasto, Adult Dough Balls and Kids Dough Balls. Everything was delicious and well presented on the plates. We are a huge Dough Ball loving family so everyone except Daddy had to have Dough Balls. Daddy is a real meat lover so the Classic Italian Antipasto (meat selection) was the perfect choice for him and he loved it. 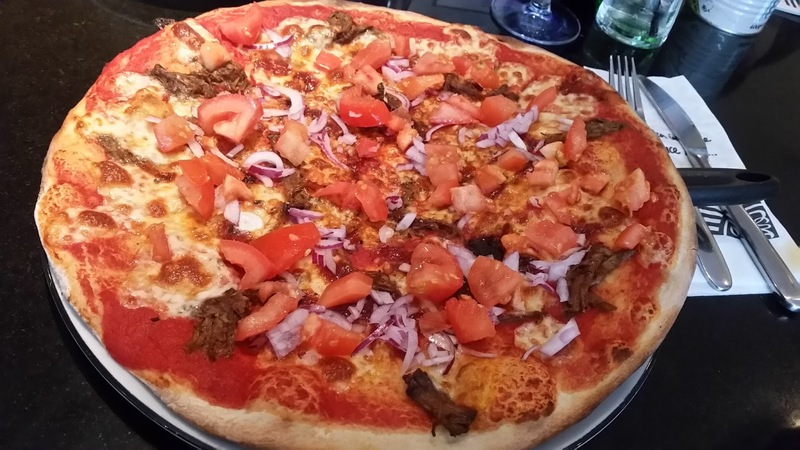 For our mains I went for the New Barbacoa Romana which was delicious. The pulled Barbacoa beef was just amazing! If I could have had extra of it, I sure would have. The Romana is very big so I did struggle to eat all of it but I thoroughly enjoyed what I did eat. I ordered it as it came to show you a true picture of what it would look like if you order it as it comes straight from the menu. Please note that you can swap and change any toppings that you may not like or want. If I was to personalise my pizza I would have asked for no tomato or onion as I don't like these but I was happy enough to pick them off this time. Chloe had the New Pennette Formaggi for her main which she really liked but did find that the cheese taste was a little over powered by the mustard taste. Her portion was again quite big so she didn't manage to eat all of it but she did enjoy what she did manage to eat. I did get to try a little bit of it to see what it was like for myself and have to say that I really liked it. It was served up really hot and tasted really nice. I love Mac & Cheese so this for me was just perfect. It's everything a good Mac & Cheese should be and so much more. 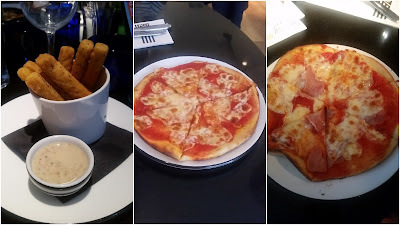 The kids choose their pizza's from the Kids Piccolo Menu, Lily had the La Reine but asked for the mushroom and olives to be left off so it was basically just a ham pizza but the staff were happy to do this for her. Ryan had the Margherita as he's just a plain pizza kinda guy. Daddy had the American which he upgraded to a Romana and had the added finish of cured Italian meats on top too. He was in meat heaven with his and did manage to finish it all off. We accompanied our mains with some Polenta Chips which I absolutely love. They are my favourite restaurant chips ever! I could eat these all day long, I really could - Yum! The kids pizzas are much smaller than the adult ones but they were the perfect size for my two as by the time they've eaten their starter, pizza and desert, they're pretty much all filled up and happy. The Piccolo Menu lets you have a starter, main and desert for £6.95. By this time we were all feeling pretty full up but there was a new desert that we had to try. 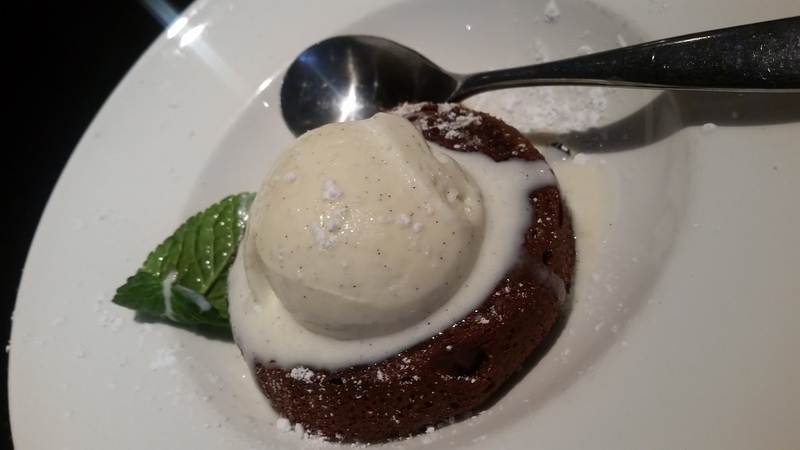 melting centre, served with vanilla gelato ice cream, a fresh mint garnish and a sprinkling of icing sugar. We let Lily order this one as she was so excited about trying it but I did get a small bite to try it and have to say it was very nice. Out of the four deserts that we ordered it was the only one that was served warm which made it taste that little bit better. It was a good sized portion and tasted like a little piece of chocolate heaven, it was that good. I opted for something a bit smaller as I was felling really full,I went for the Salted Caramel Profiteroles which came served with a cup of English Tea which was more than lovely and the perfect way to end my meal. Chloe had the Chocolate Fudge Cake which was lovely but did come served cold which disappointed her slightly as she likes it warmed up so that it melts a little. Ryan had the Chocolate Brownie from the kids menu which again came served cold but he was more than happy with his, it also came served with a Bambinoccino on the side which was a drink of frothed milk with a sprinkle of chocolate powder on the top. He wasn't too keen on this but he did give it a try at least. He doesn't really drink warm drinks. Overall we had a lovely time and really enjoyed our food. Our favourites from the new menu would have to be the Pennette Formaggi which you can have as a starter or a main depending on the size of the portion you would like. Chloe had it as her main but I think that next time I'd like to have it as my starter so that I could still have a pizza as a main and get the best of both worlds with pasta and pizza for dinner. 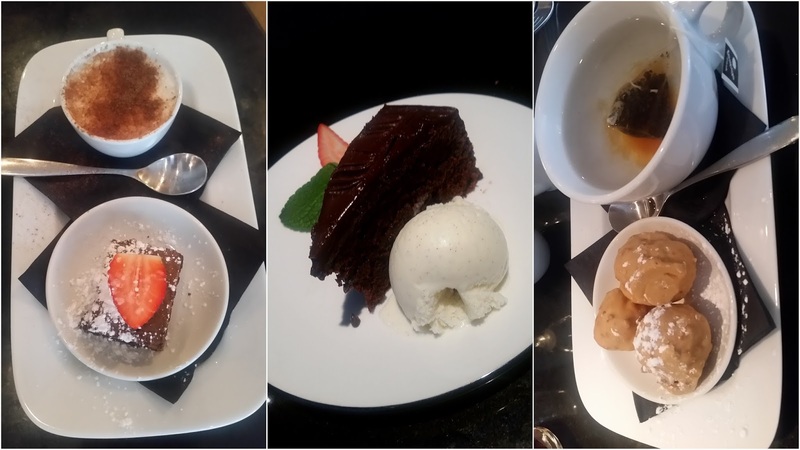 The New Chocolate Fondant desert was another great dish as it's warm chocolate melting centre mixed with that cold ice cream was just delicious. I think next time it will be Chocolate Fondant's all round - Yay! If you enjoy your comfort foods in Winter or love Mac & Cheese like I do then I would recommend trying out the new January Specials at your local Pizza Express. Disclosure: We were invited to try the new menu and received a complimentary meal for the purpose of this review. All opinions expressed are my own and 100% honest and true.